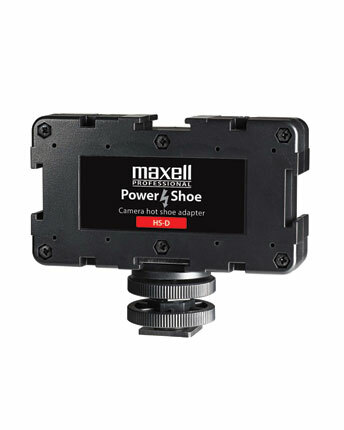 Maximize the potential of your camera shoe mount by using the new Power Shoe Adapters from Maxell. disk-based recording devices, wireless receivers, etc. equipment, but also power it using a dedicated power source. Maxell s Power Shoe Adapters were developed to maximize the potential of the camera shoe mount. The 3-Way Power Shoe Adapter (HS-D) is the entry level offering, featuring three cold shoe mounts. 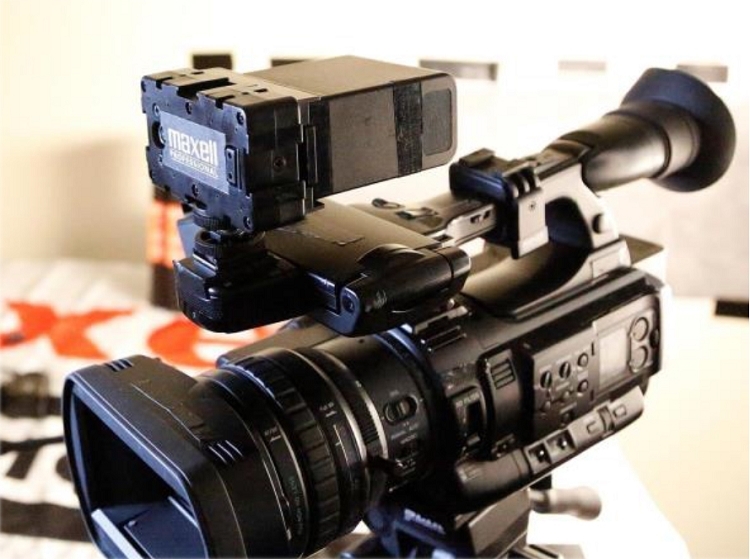 When mounted, the HS-D will allow the camera operator flexibility to use multiple additional camera accessories, such as radio mics, wireless receivers, on-camera lights, etc. The HSBM-12W and the HSBM-36W are the mid-range and high end offerings in the Power Shoe lineup. Similar to the HS-D, the HSBM 12W has three additional cold shoe mounts, but has the added feature of an NP-F type battery mount, one power tape compatible input, and one hirose input. The HSBM-36W has three additional cold shoe mounts as well, and provides top-end power via a BP-U type battery mount, one power tap compatible input, and one hirose input. 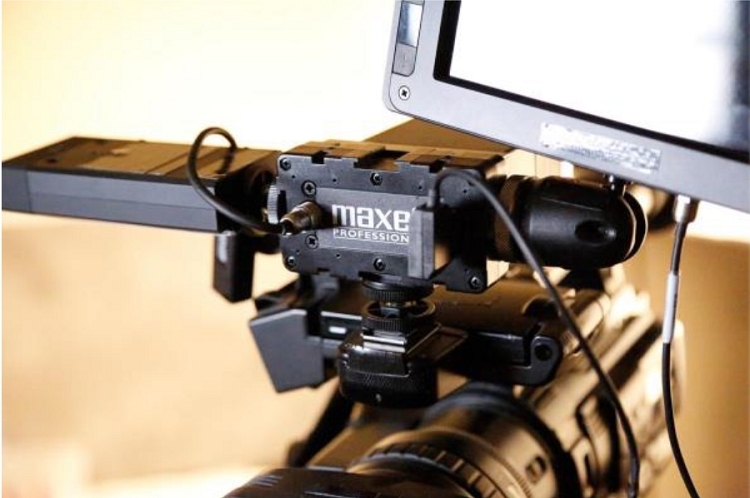 Both provide a dedicated source to power hungry on-camera devices. 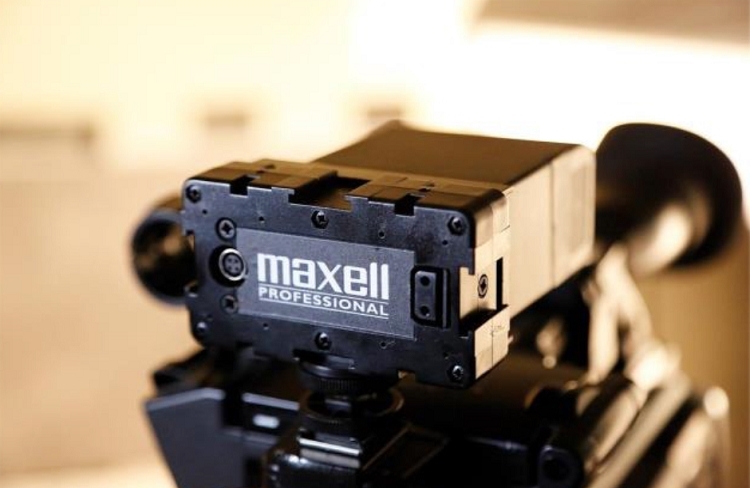 All of Maxell s Power Shoe Adapters mount to any and all cameras with a cold/hot shoe.